I tried to follow a tutorial on the documentation and its says add the xafari module to Web , add the xafari module to Win but I tried to find a way on how to add the xafari module but could not find it, I am sure I am missing something and also that I am new to xaf.Thanks very much! To add Xafari modules you can two ways. 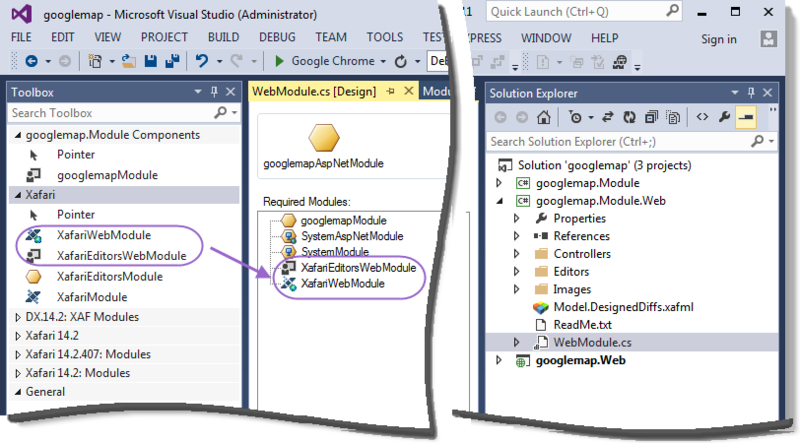 Like DevExpress you open Design for Module, or WinModule, or WebModule and using Toolbox to add the required modules. 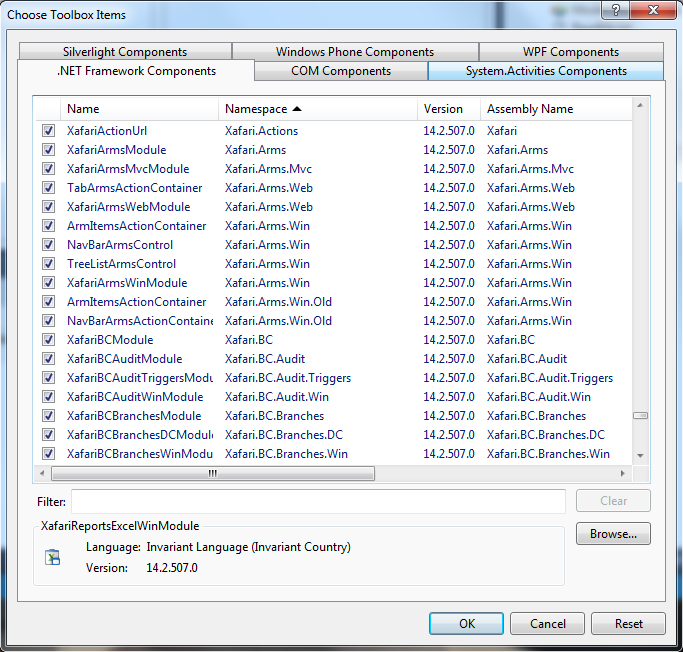 If you can’t find in Toolbox the Xafari modules, you can close your VisualStudio and open Start-> All programs-> Xafari Framework v14.2…-> Tools -> Install VS Toolbox – to start VisualStudio and Repair Toolbox. If Install VS Toolbox doesn’t work -> choose the Second way. – return to the First way.